NemesisV: Who waste the most paper? 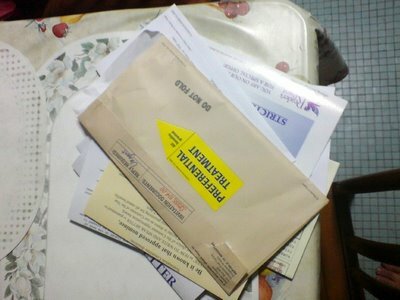 Simple question : Who waste the most paper sending you spam mail? All these came in 1 single letter. Let me see, its about 15 pages of A4 paper or so... We have our winner! Thank you so much for killing our forest, Reader Digest!